Life brings challenges and great suffering. Life brings miracles and pure joy. Let yourself come to a space of healing and support to weather and shine in all of life’s storms and rainbows. Amanda is a graduate from Kripalu School of Yoga. She has been practicing yoga for over a decade and speaks of a profound personal transformation that she would like to share with others while promoting health in mind and body. In 2005, Amanda obtained a Master’s Degree in Psychology and since has become a licensed mental health counselor with a thriving private practice. She believes in empowering individuals to be their best and healthiest selves. 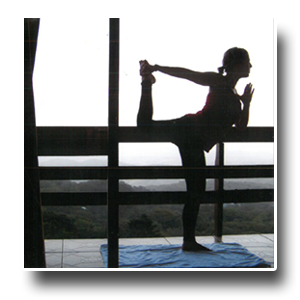 Amanda has traveled the globe and brings a holistic and strength based approach to yoga, coaching, and life. Amanda can be reached directly by phone at 413-329-1069 or by e-mail at alblan11@aol.com.